Preheat the oven to 350°. Line a square baking pan (9x9) with aluminum foil and lightly butter the foil. Melt butter, and chocolate in a large saucepan over low heat until fully melted. Once melted, remove from heat. In a large bowl add in cocoa, sugar, chocolate butter mixture, eggs, vanilla and flour one by one while whisking. Mix with a whisk for 2 minutes or until fully mixed. Pour batter into prepared pan and lightly sprinkle Diamond Crystal® Kosher Salt over the top. Lightly swirl salt into mixture with a butter knife. Bake for 35 minutes until the edge looks slightly set and the center is still slightly soft. Allow brownies to cool at room temperature for 1 hour, then refrigerate for 1 hour until brownies are firm. 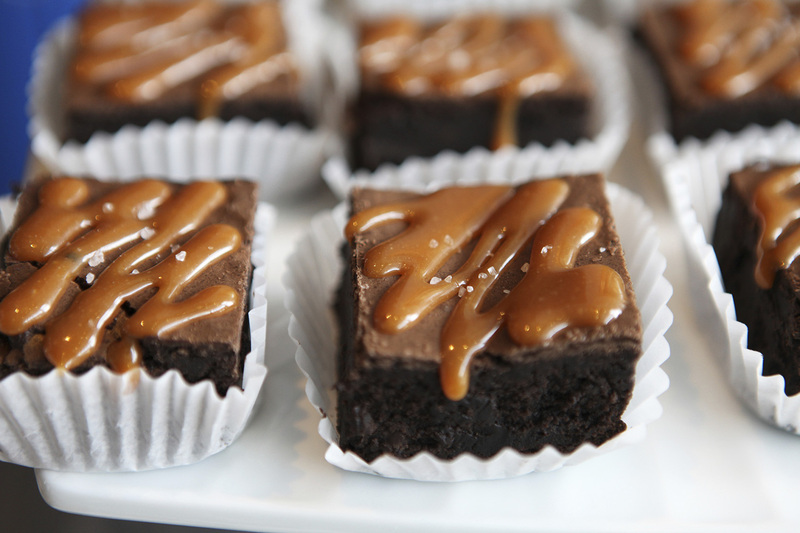 Serve at room temperature and drizzle with caramel drizzle if desired.